Is Zack Greinke Worth $100 Million? 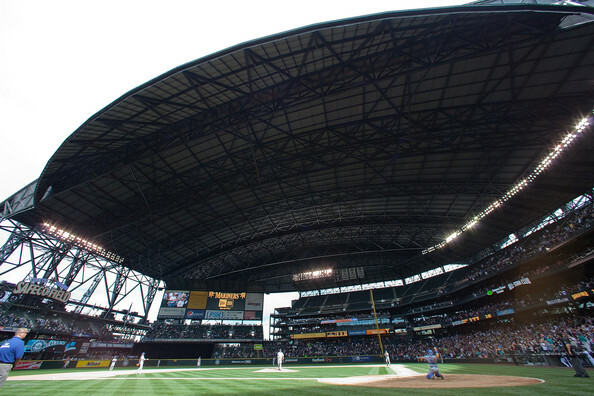 Ryan Ritchey: The question for all the teams in the major leagues is if Zack Greinke is worth the $100 million that he is going to want…and likely get. 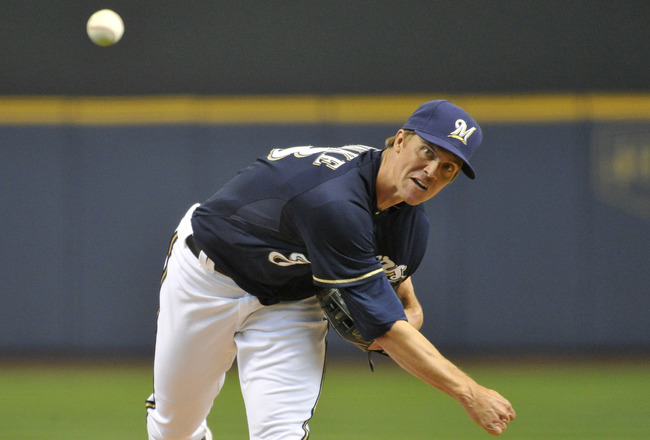 With Greinke being a free agent at the end of the season, does he want to stay with the Brewers or does he want to test free agency. At the age of 28, he could get the big 7 -year deal he is seeking. But it won’t be worth 100 million. He could end up getting around $80 million with a great season in 2012. With a 16 win season last year and off to a pretty quick start this season, he is showing the league what he’s got. With Fielder leaving though, I don’t see him staying with the Brewers after this season. 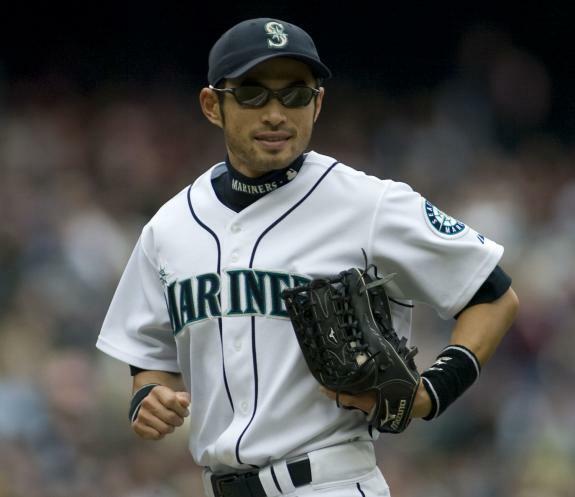 Sam Evans (Intern – MLB reports): When Ichiro Suzuki came into the league in 2001, people did not know what to expect from him. He exceeded any and all expectations, becoming the second MLB player all-time to win rookie of the year and MVP in the same season. The next eight years seemed easy for Ichiro; the highlight moment coming when he set the all-time hits record in a single season record in 2004 with 262. Not to mention, he became the first player in MLB history to have 200 hits in ten straight years. 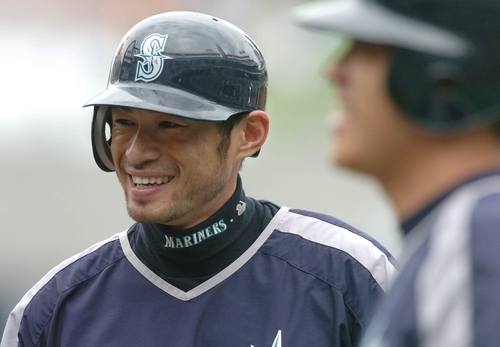 Going into 2011, few analysts considered Ichiro’s production tailing off drastically. Sure, he was 37 years old, but he might be in better shape than any other player in the majors. In April of this year, Ichiro batted .328 and stole ten bases. However, in May and June he batted .210 and .282 respectively. This season has turned out to be Ichiro’s worst year in the majors by a large margin. From 2001 to 2010, he never hit below .303. In 2011, he’s hitting .272 with 5 HR and 72 RBI. One of the arguments that has been set out in attempting to explain Ichiro’s decline this year has been that he is getting slower and slower. I disagree with this statement. He is on pace to steal 43 bases, which is right around his career average. In the field, Ichiro may have gotten a tad slower, but I think that is due to his taking bad angles to the ball, rather than a decline in his abilities. However, while not attempting to insult Ichiro as a player, it is apparent though that his intensity is a definitely a lot lower this year. This leads to the following conclusion in my opinion; Ichiro Suzuki is a human being. 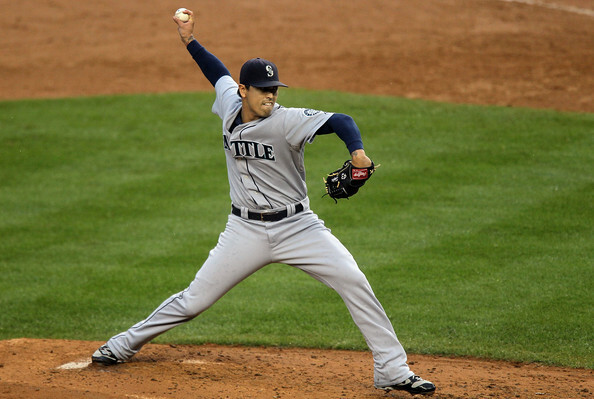 He is playing for a Mariners team that has not reached the playoffs since 2001. He has consistently been playing about 150 games a year, not including spring training. It seems like no matter how good of a season Ichiro has, the players and team around him are disappointing. 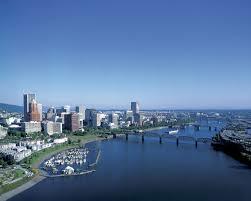 After all, we are talking about the Mariners. A player can only take so much losing at a certain point, even the great Ichiro. One factor explaining Ichiro’s off-year is bad luck. This is his first year with a BABIP under .300 (Ichiro’s career average is .352), and according to Baseball Info Solutions, he has lost more hits than any other big leaguer on “good fielding plays.” No matter how you read the stats, the bottom line is that Ichiro has had a pretty bad year by his standards. He has played below-average defense, and at times looked lazy in the field. His On-Base-Percentage is at a career low .312, and he would need an incredible 30 hits in his last 13 games to reach 200 again. To make everything worse, Ichiro turns 38 in October. Next year, will be interesting one for Ichiro Suzuki. 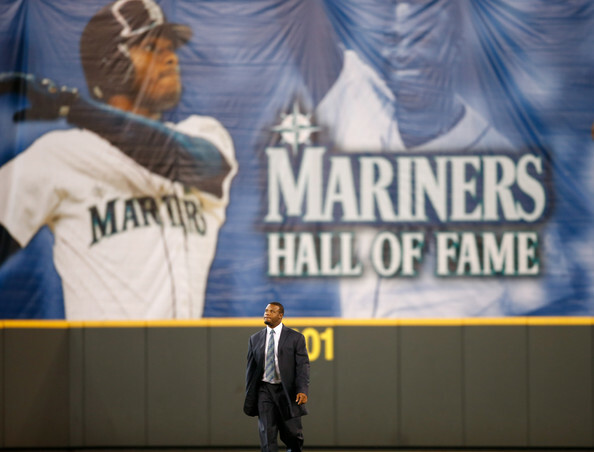 It is his contract year and the Mariners are starting to acquire some legitimate pieces around him. A playoff year is probably out of the question, but a .500 year is very possible. Personally, I think he will bounce back and hit over .300 with another 200 hit season. 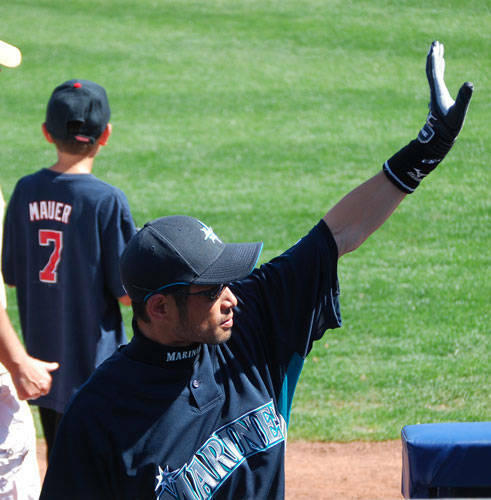 With a better surrounding cast, I see glimpses of the old Ichiro returning. I don’t think he’ll ever return to the level he was on in 2004, but as long as he stays interested in the game, I think he will be an above-average right fielder for the next five years. Without a doubt, Ichiro is a first ballot Hall-of-famer. He is the only player to have ten straight seasons of 200 or more hits. He also holds the all time record for hits in a single season with 262. 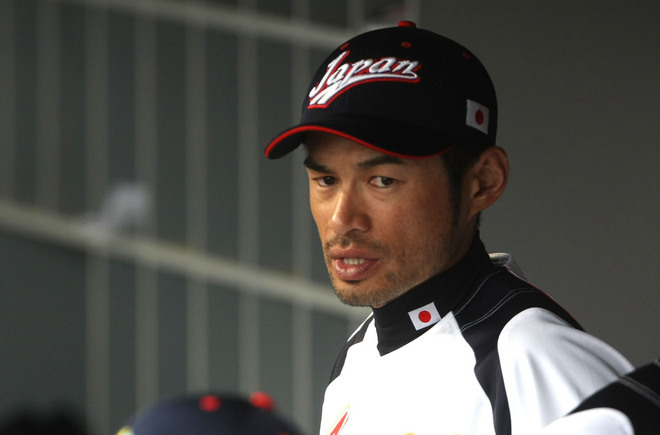 Ichiro’s contract runs out at the end of 2012. The main question I believe is whether he will want to keep playing in North America. His friends and family are back in Japan, where he is a fashion icon. 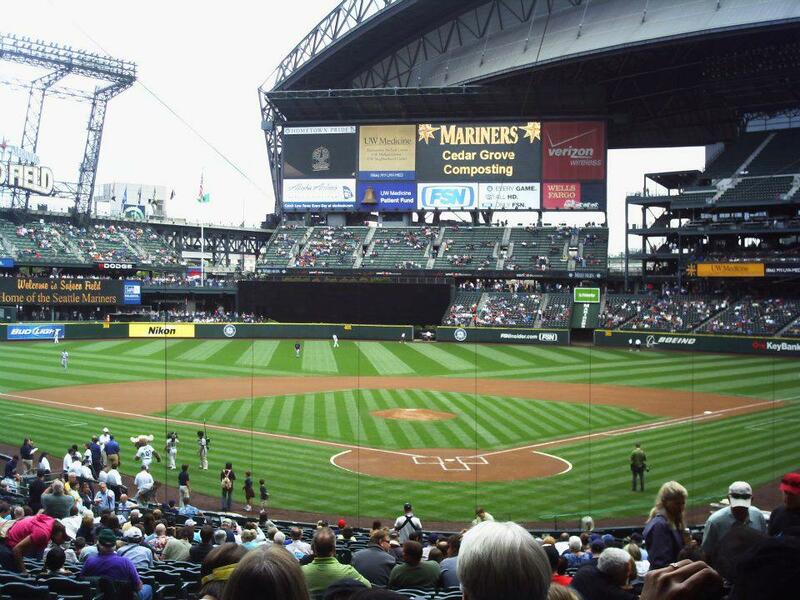 If Ichiro does continue to play baseball, I would be shocked if it were for a team outside of Seattle. When his career is finally over, most people will remember Ichiro for helping break the barrier between professional baseball in Japan and MLB. Overall, I expect most will remember Ichiro as being the greatest Japanese baseball player of all time. MLB reports: It is not every day that I have the opportunity to correspond with a Gold Glove winning major league all-star, but over the last couple of weeks I got to do just that with Adam Jones of the Baltimore Orioles. Getting to know Adam and hearing his thoughts on the game, his career, and team was fascinating to say the least. The story begins as follows. Adam, one of the most fan friendly MLB stars on twitter, started to converse with me on my usual favorite topic, baseball. I was instantly drawn to his easy going personality and zest for life and the game. 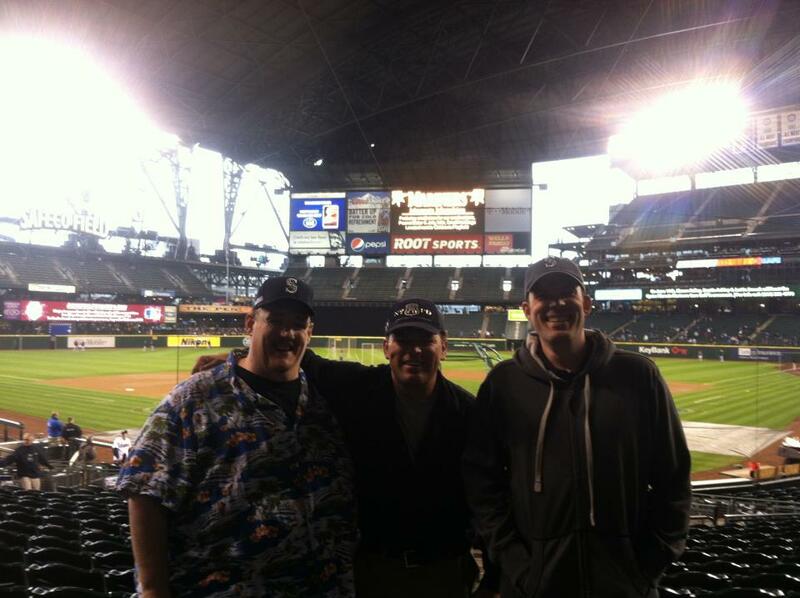 After some messages back and forth, I brought up my blog and the interview articles I prepare on MLB reports. Being the cool cat that he is, Adam suggested he would love to help out a young writer and agreed to be interviewed for this profile piece. After some research, back and forth emails, and analysis, here we are today. We covered a range of topics on the career of #10, which I am about to jump into further. Discussing topics ranging from the baseball influences on his career, his greatest accomplishments, goals, and areas of improvement, Adam did not hold back in his answers. Considering Adam was both an All-Star and Gold Glove recipient in 2009, it was astounding to find that he did not have an ounce of attitude in his answers. This is a player that is still humble at the age of 25 and works towards improving every facet of his game. The combination of baseball skills, work ethic and positive outlook, I believe will translate into a limitless future for one of baseball’s young bright stars. One of the first questions that I asked Adam was to name the baseball player he most idolized growing up and patterned his game after. 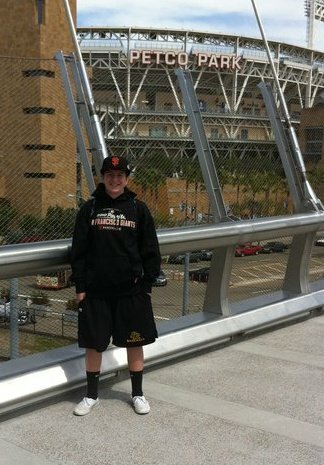 Born and raised in San Diego, California, to no surprise Adam named Tony Gwynn. However, the reasons behind his response did perk my curiosity. Baseball was not a sport that Adam “followed too strongly until approximately the age of 12” and only then, Gwynn was more a player that Jones had heard of than followed. When asked to expand, Adam explained that “I’ve hit with TG [Gwynn] for a few off-seasons now since I’ve been drafted. We have a tight group that hits together at San Diego State University.” As far as the influence Gwynn had on his game, Adam indicated that “what I’ve learned is myself. I’m not the hitter that he [Gwynn] was and that’s not my mentality. We’ve just had discussions of thought processes and having the ability to take a step back and let the ball come to you.” When breaking down the comparisons between Jones and Gwynn as players, his response becomes even clearer. Tony Gwynn, a 2007 Hall of Fame inductee, played in 15 All-Star games, was the recipient of 5 Gold Gloves and 7 Silver Slugger Awards. Gwynn also ended his career with a .338 lifetime average. Jones, at the age of 25, brings a different game to the table. Gwynn is a difficult, if not impossible, player to emulate and Jones is realistic in this regard. The Gold Glove and All-Star appearance are already there with the promise of more to come. Adam’s batting average has slowly risen every year of his career to a high of .284 in 2010. 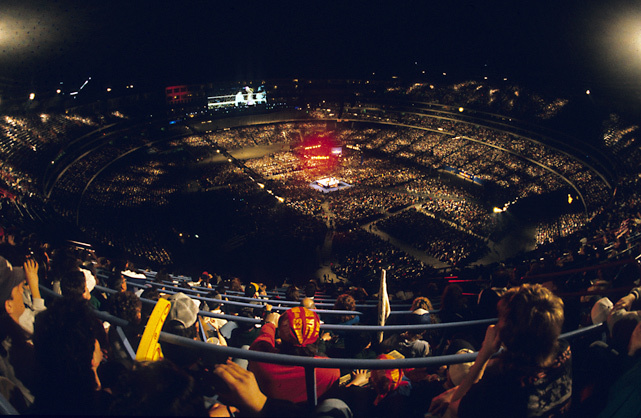 With the right approach and discipline, .300 + is well within his reach. Like Gwynn, Jones does a bit of everything, including hitting for power and stealing the occasional base. Similar to Gwynn, Jones’ on-base percentage is dependent more on base hits than walks. The more I compare the players, the standard that Gwynn set for his career is one that I feel that Adam can strive towards. The bottom line on Gwynn is that the man could just plain hit. Jones, working his way up the major league ladder, could follow in the Gwynn’s footsteps, even if Adam does not implicitly try to do so. My follow-up question asked Adam to name the current MLB star that he most admired. Based on Adam’s statistics and game style, I would have bet the answer was going to be Torii Hunter. Guess what? I was right. But again, the reasons behind his answer threw me. According to Adam, “there aren’t enough good things to say about him [Hunter]. But my favorite attribute about him has nothing to do with baseball. That what he does for a living. It’s his character. He [Hunter] is a true leader on and off the field and is highly respected.” My correlation between Adam and Hunter centered on their similar statistics and abilities on the field, in contrast to Adams’ vision of Hunter as a person and leader. Hunter, a 4-time All-Star, 9-time Gold Glove winner and a Silver Slugger recipient, as a youngster in many ways mirrored the player that we see in Jones today. In his breakout year in 2001, Hunter had a batting line of 27 home runs, .261 average, 82 runs, 92 rbis, .306 obp and .479 slg. Jones, in his 2009 campaign had a line of 19 home runs, .277 average, 83 runs, 70 rbis, .335 obp and .442 slg. Although not entirely the same, as hitters Jones and Hunter showcased several similarities in those respective years. The following is Hunter’s average season in the major leagues: .275 batting average, 25 home runs, 89 runs, 95 rbis and 17 stolen bases. Considering what Adam has accomplished to-date, these numbers are surely attainable and possible for him to exceed. Adam indicated that he knew Torii very well and some of his favorite characteristics of Hunter was that “he plays the game the way it’s supposed to be played”, “not a guy that makes any excuses.” Adam mentioned Hunters’ upbeat attitude, and that his’ “favorite thing is that he smiles all the time. He shows he is happy doing what he loves to do.” Hunter’s personality has definitely rubbed off on Adam in a positive manner and reflects in his attitude and demeanor on and off the field. If I had to include a caveat, however, it is the holes that Hunter has in his game that Adam would be well served to avoid in his own play. Although Hunter is a strong home run hitter and has the ability to score and drive in runs, he has traditionally not hit for a high average or been able to get on-base at a consistent clip. By working with Tony Gwynn, Jones should focus on raising his own level of base hits and batting average to compensate for a lack of walks. At this stage of his career, it will be interesting to see if Adam becomes a high average and/or home run hitter as he progresses. With the above comparisons in mind, I asked Adam what he considered to be his greatest baseball skill(s) and aspects of his game he most wished to improve. 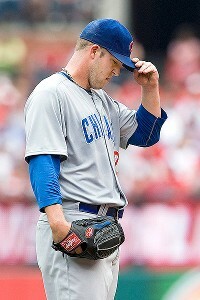 Rather than name a specific on-field capacity, Adam named his “lack of fear” as his greatest trait. Adam believes that, “others should be a better evaluator of my skills. I just play.” This answer fit well within his stated areas of improvement, whereby Adam indicates, “I really want to improve on everything. I need to steal more bases or be more aggressive. I need to play better defense. To get better judgment at the plate. The best part about baseball is that there is always something to improve on.” A star player that believes he can improve in every area of the game. How refreshing. When I pinpointed particular areas in his game, Adam responds by mentioning that he’s, “never been a high home run guy or walks or stolen bases. I’ve always played my game and that’s got me to where I’m at now. Adjustments are needed to be made in order to stay at this level so I am constantly trying to improve on something.” Whereas Gwynn, known as “Mr. Padre” and “Captain Video” for dedicating enormous amounts of time to studying video and his approach at the plate, Adam indicates the danger in thinking too much. While he does video, it can often lead into over-thinking and therefore Adam tries to avoid “thinking about hitting when in the batter’s box.” Let the instincts take over. An interesting and old-school mentality as a player, rather than trying to work on specific components, Adam works hard at improving all aspects of his game. I was curious as to what Jones considers his greatest accomplishment to-date in baseball and what goals he had for the 2011 season. His 2009 Gold Glove ranks as the top accomplishment, because as Adam says, “it was decided by my peers.” For the upcoming season, Adam is focusing on, “playing harder than I have. For me in sports, I feel that if I play every day, the numbers take care of themselves.” I didn’t get the sense that Adam is the type that checks the box score every day to break down and categorize his own statistics. This is a player that is driven to play as hard as he can every day and simply focuses on helping his team win. Plain and simple. Playing under Buck Showalter should only serve to further Adam’s approach to the game and lead to big things for him and the Orioles as the year approaches. Showalter, a 2-time MLB Manager of the Year, has a career 916-856 record in 12 seasons. Dissecting the numbers even further, in his 2nd year as a manager at each of his three stops, Showalter attained 88 wins with the Yankees, 100 wins with the Diamondbacks and 89 wins with the Rangers. Going into year two with the Orioles, Showalter will work to bring the same strong attitude and success to Baltimore as he has achieved in each of his previous stops. As far as what Showalter brings as a manager, Adam indicated that, “accountability was number one. We held ourselves responsible for how we played. I believe what he (Showalter) wants is for you to give your best effort and play the game.” By having a similar mentality with his manager, I envision Jones growing into a leader on this young Orioles team. In his humble response, Adam considers that, “when it comes to the young guys, I’m still a young guy myself. But I always try and associate myself with my teammates in the clubhouse or the field. I want them to know that I got their backs.” That being said, Adam throws in a caution. “I want to be a leader, of course. But I’m not going to force the issue with that. You never want to cross the veterans on the teams and I try and show it (my leadership) with my play. This season we have added veterans that have won and been leaders of their respective squads. I think we have the possibility to have multiple leaders.” A very healthy attitude for a budding superstar growing as both a player and leader on his team. 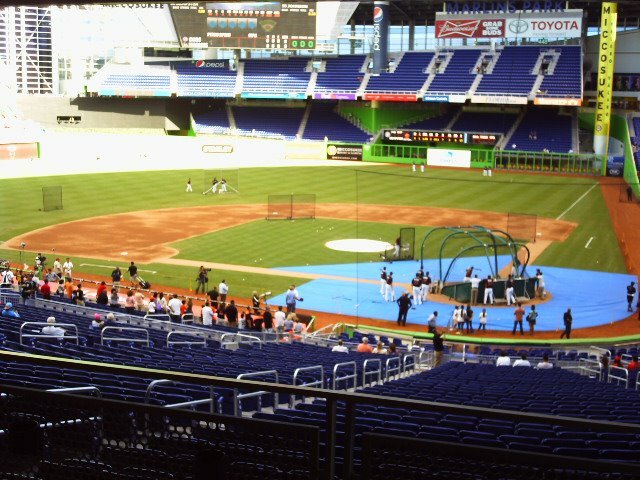 The Orioles bolstered their lineup for the 2011 season with the additions of Vlad Guerrero, Derrek Lee, J.J. Hardy and Mark Reynolds, in addition to Justin Duchscherer and Kevin Gregg joining the pitching staff. A veteran team almost overnight, Jones will have many experienced players to learn from in Baltimore as he continues his rise to the top of the MLB ladder. Reflecting on the 2010 season, Jones felt that the Orioles as a team, “all tried to do everything possible and we couldn’t do it. We have to play as a team and have the faith in the guy behind you to get the job done.” With all the additions to the team and a new season ahead, Jones states, “I want to play baseball with them all. I am excited to get in the locker room and see my (new) team.” Considering the Orioles teams of the past that Jones has played for, it has been quite the journey for the 37th overall pick in the 2003 draft. 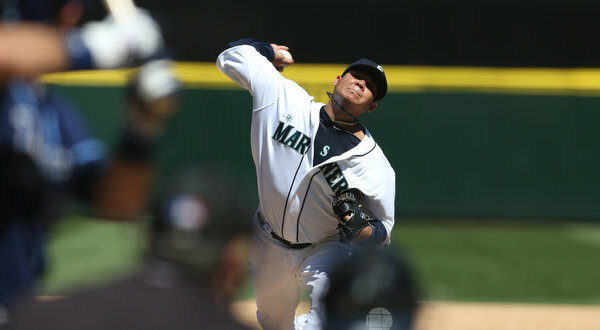 Originally drafted as a shortstop by the Seattle Mariners, Adam was traded on February 8, 2008 to Baltimore as part of a package for then top of the rotation starting pitcher Erik Bedard. “My first reaction when I found out I was traded to Baltimore was ‘dang,’ I’m going east.” But then I thought to myself that I was going to have the opportunity to go and show that I can play this game at a high level.” For a team and player on the rise, the marriage between the Baltimore Orioles and Adam Jones couldn’t be a better fit. With many bright years ahead of him, Adam took the time to reflect on what he would most want to be remembered for when it was time to hang up his spikes. “When its over and done, I want people to know that I played my behind off and loved the game that has treated myself and so many people well.” When you think of Adam Jones, do not look for the next “Tony Gwynn” or “Torii Hunter”. Consider Adam Jones as himself, the player that he his and the player that he is striving to become. Adam works hard and has a strong understanding of his strengths and areas he needs to improve. 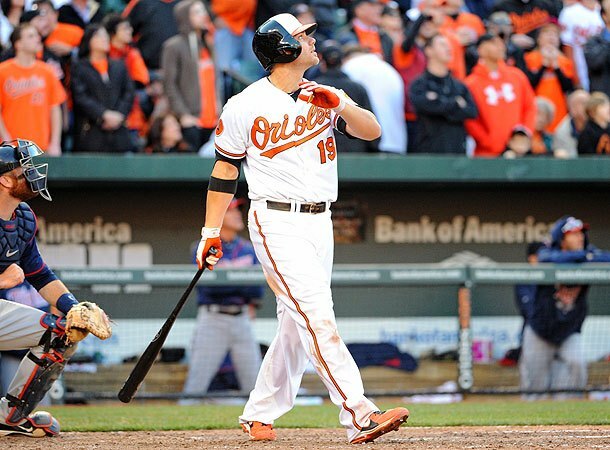 Behind the #10 jersey there is no hype, attitude or ego – just the baseball player we will always know as “Adam Jones”.